The black dot with mesh backrest adds a contemporary character to the black dot family. 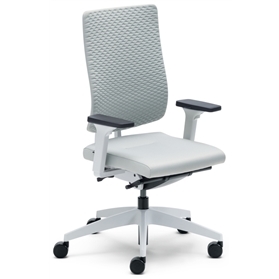 The mesh backrest has a delicate and light appearance while offering ergonomic advantage. 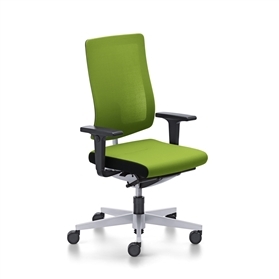 Thanks to the patented dorsokinetics the backrest follows and supports all backward and sideways movements. The optional neck support will be supplied in black vinyl for fabric chairs and the same colour leather for leather chairs.